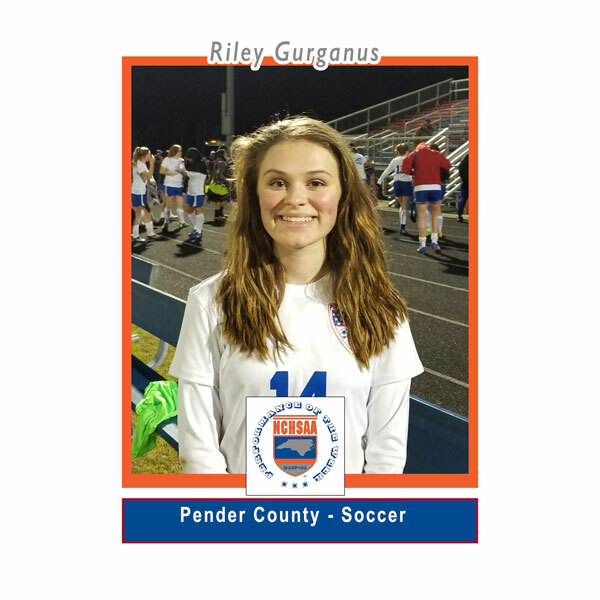 CHAPEL HILL— Riley Gurganus of Pender High School and Hunter Forbes of Bear Grass Charter School were named recipients of the NCHSAA Performance of the Week awards. Gurganus, a sophomore on the Pender women’s soccer team, scored all 4 goals in the Patriots 4-2 win at West Bladen. She then scored 2 goals in a 4-1 win at home versus West Bladen. Gurganus finished the week with 2 more goals in a 6-0 win over East Columbus. In total, Gurganus netted 8 goals for the week. 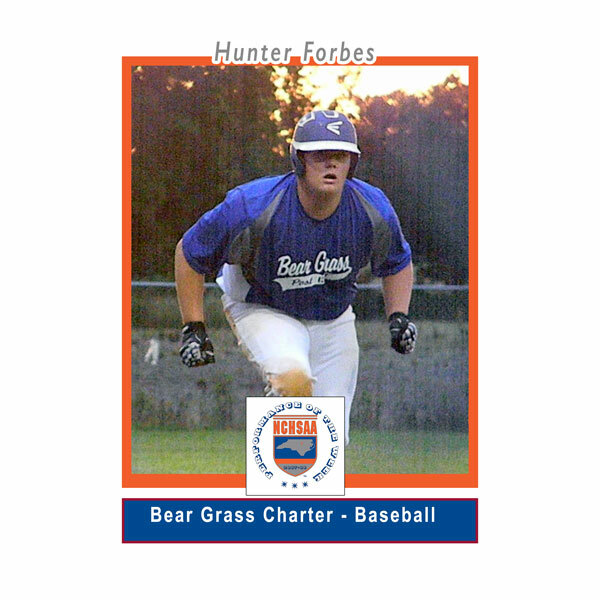 Forbes, a senior on the Bear Grass Charter baseball team, had a great week at the plate. Against Pasquotank, he went 3-4 with 2 doubles and 4 RBIs scoring 3 runs in the 20-0 win over the Panthers. The next game, Forbes went 2-3 at the plate with a double, an intentional walk and 1 RBI. To round out the week, Forbes went 2-2 with a grand slam and 5 RBIs in a 9-7 win over Southside. His batting average for the week was .777 with an on base percentage of .847.